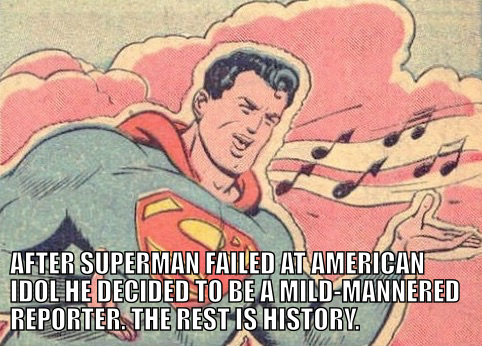 After Superman failed at American Idol he decided to be a mild-mannered reporter. The rest is history. "The hills are alive, with the sound of Krypton"
Opera-Man accidently grabs the wrong costume from the 'Watchtower' locker-room. Jor-El doesn't like the singing so much, but gave up years ago telling Kal "It is forbidden!"